A "campaign within the Campaign"
Emperor Norton, between spring 1871 and spring 1872. From carte de visite by Tuttle & Johnson studio, 523 Kearny Street, "Heliographic Artists." Collection of the California Historical Society. The Emperor's Bridge Campaign launched in September 2013 as an effort to carry forward the call of that summer's Change.org petition — by Campaign founder and president John Lumea — urging the California state legislature to name the state-owned San Francisco-Oakland Bay Bridge after Emperor Norton, who set out the original vision for the bridge in 1872. In the years since the Campaign's launch, we've become a nonprofit and built out a larger mission that has us working on a variety of fronts — research and documentation; education; advocacy — to advance the full legacy of the Emperor. Within in this broader context, our bridge-naming project now is a "campaign within the Campaign." The Emperor's Bridge Campaign does not call for "replacing" the name "Bay Bridge" — or for this bridge system to be "renamed." We call on the legislature simply to add "Emperor Norton Bridge" as an honorary name for the bridge system, leaving in place all existing names for the system and its constituent parts ("spans," bike path, etc.). We seek a concurrent resolution of the California State Assembly and Senate to do this at the earliest historically symbolic opportunity. Our current focus is on 2019 — the 160th anniversary of Joshua Norton's proclamation declaring himself Emperor on 17 September 1859. SIGN THE PETITION directs to the Change.org petition. LEARN MORE directs to this page. For an overview of the ideas that motivate this project, scroll beneath the photograph below. For documentation of the background, history and significance of the Bay Bridge itself — including original plans and a comprehensive photographic record — please click here. The case for the bridge designation could hardly be stronger. After all, it was Emperor Norton who set out the original vision for the Bay Bridge. With three newspaper proclamations in January, March and September of 1872, he called for the survey and construction of a great bay-spanning bridge linking Oakland and San Francisco via Goat Island (today called Yerba Buena Island). Technical know-how and political will would not catch up to the Emperor’s vision for several decades, with the opening of the Bay Bridge in November 1936. But it’s not only Emperor Norton’s connection to the Bay Bridge itself that warrants naming the bridge for him. The Emperor was a champion of the public interest who was more far-sighted and more forward-thinking that most of his contemporaries. He called out corruption and fraud of all kinds — personal, political and corporate. He sought fair treatment and greater legal protections for African Americans, Native Americans and Chinese. He urged better labor standards. He saw the danger of religious puritanism and sectarianism, and advocated against these. He encouraged technological innovation in the service of the common good. He supported women’s suffrage. Emperor Norton was known for his kindness. He was both passionate and whimsical. Not least, in asserting his own right to be heard, he stood for the outsider, the dreamer and for the idea that people should be accepted for who they are. In all of these ways, the Emperor was himself a “bridge” who embodied and heralded the values of fairness, tolerance, self-determination and the common good that came to be associated with San Francisco, Oakland and the Bay Area. And: Of the signatories to the Change.org petition who also have left comments via the petition interface — more than 1,000 of the 6,000-plus-signature total — many of the most thoughtful and eloquent remarks have come from Oakland and the East Bay. THE BAY BRIDGE DESERVES A NAME WITH POETRY & HISTORY — LIKE "THE GOLDEN GATE"
What long has united admirers of the Emperor and the Bay Bridge, on both sides of the Bay — and, indeed, across the country and around the world — is the recognition that a great local and national landmark like the Bay Bridge deserves a name that has poetry, a name that, like “the Golden Gate,” rises above the purely descriptive. Naming the Bay Bridge for Emperor Norton — one of the region’s most storied pioneers and most durable legends — will do that, and more. 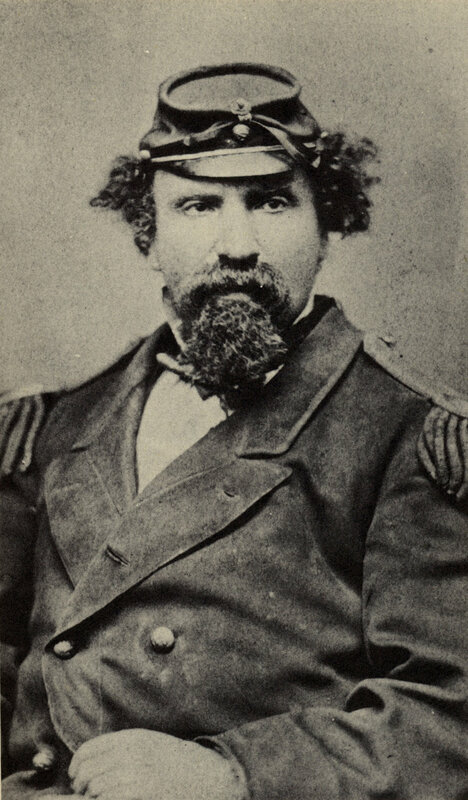 Honor Emperor Norton, who — earlier than anyone else that history remembers — helped call the bridge into being. Plant a flag for the values that the Emperor represented — some of the noblest values of San Francisco, the Bay Area and California in general — at a time when it couldn't be more important to do so. Unlock a powerful new opportunity for San Francisco and the Bay Area to tell its own story — the story of a spirit of openness, fairness and self-determination that also includes compassion for those at the margins. Announce, in the boldest terms, that San Francisco and the Bay Area remain a place that welcomes outsiders and dreamers — and that enables visions of progress to take root and grow from the most unexpected quarters. The vision of THE EMPEROR’S BRIDGE CAMPAIGN is to ensure that Emperor Norton's life and legacy is kept alive and relevant. We seek to bring together all those individuals, organizations and groups who share our vision — and to assist those in the movement to name the Emperor's bridge for him, by helping them forge an effective coalition that speaks with one joyful but determined voice so that their collective desire becomes reality.